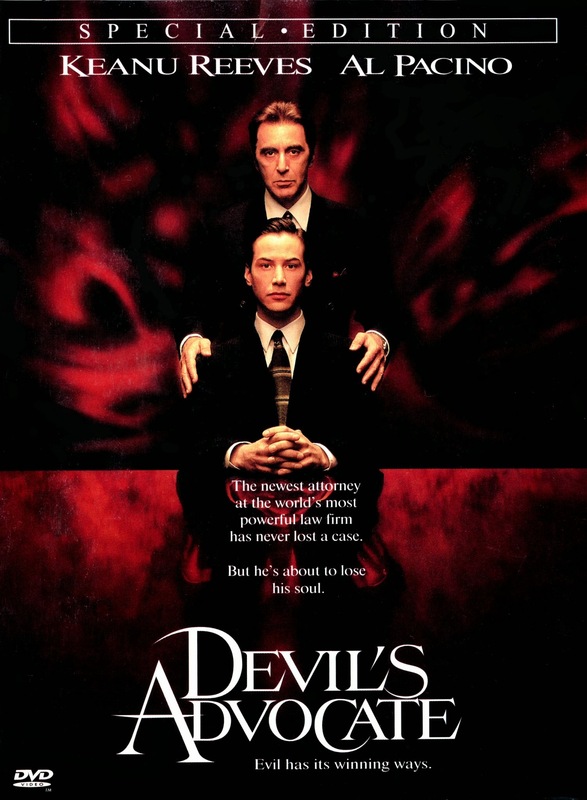 As the result of a lawsuit, Warner Bros is not allowed to release their 1997 film, The Devil's Advocate, uncensored anymore... and haven't been for a long time. Specifically, one of the biggest set pieces in the film, a massive bas-relief sculpture in Al Pacino's apartment that ultimately comes to life was said to be too similar to a bas-relief called Ex Nihilo which resides above the western entrance to the National Cathedral in Washington. It's not a reproduction, it was just judged to be too similar that it violated copyright, and since the sculptor found its use offensive (it's meant to be a very divine piece, and in the film, it's literally Satanic), he refused the studio permission to include it in the film, even though they'd already shot and released the film theatrically with it featured in multiple scenes. So a settlement was reached where Warner Bros. could release 475,000 copies through rental stores, and thereafter they created a new version of the film, with some very early CGI (this was the 90s, remember) replacing every shot of the sculpture with a new, generic image. Yuck. Original DVD on top; CGI'd blu below. This is the first shot of the sculpture after the big reveal. An elevator door slowly slides off-screen to reveal this crazily large, impressive sculpture than Al just happens to have in his office. As you can see, it's full of human figures swirling around each other (just like in Ex Nihilo). Not only is this sculpture prominently displayed in multiple scenes, where it's used to make a big statement about Pacino's opulence and the kind of place Reeves is entering into, but SPOILER: the sculpture ultimately comes to life and those people in it writhe and try to seduce Reeves. Now, to be fair to the new version, the image doesn't look too fake in the background. Even as characters walk and talk in front of it, it fits into its environment fairly convincingly. But it sure is a far less impressive art piece, just a mass of generic white swirls (I'm sure it's kept so simple because complicating the image would have made it look faker). It's just not nearly as impressive or effective. And it's not just in the background. There are times when the camera is looking squarely and solely at the sculpture, nothing else. Early in the original, the camera adopts Reeves' point of view, panning slowly over the people in the sculpture. In the new version, the camera pans the same way over... a swirly jumble of nothing. You're not going to tell me in the shots above that one is just as good as the other. And we come back to the sculpture repeatedly, in multiple scenes throughout the second two-thirds of the picture. Here, they loom over the people in the room ominously, as if they're reaching out to them. Or... it's just a white lump hanging back safely against the wall in the new version. They couldn't have at least made the swirls lean outward? Look, the shots have been totally changed (it's not just zoomed in tighter; Pacino's gone), but now it's the same sculpture in both versions? Yes, bizarrely, that's what happens in the CGI version. The sculpture transforms into the version with people in it at the 1.57 mark, ten minutes before it comes alive in the story. First of all, that means we watch the statue totally moving around and changing, with one of those old school morphing effects, long before its meant to be anything but a "normal" sculpture, and Reeves has absolutely zero reaction to it (because in the original version, it hasn't done anything weird yet, so why would he?). And secondly, if we're allowed to see the sculpture as the version with humans in it for the final scene of the film, in many shots and angles over the course of ten minutes - this is in the censored version, mind you! - what was the point of censoring it all throughout earlier? Why not have it look like it does at the end earlier on? It makes no sense! Now, it's even more frustrating! But in March of 1998, the film was commercially released uncensored on DVD. Despite having a large red message printed on the back of the case reading, "[t]he large white sculpture of the human forms on the wall of John Milton's Penthouse in 'Devil's Advocate' is not connected in any way and was not endorsed by the Sculptor Federick Hart or the Washington National Cathedral, joint copyright owners of the Cathedral sculpture 'Ex Nihilo' in Washington, D.C." ...it was actually still the original bas-relief on the DVD. That disc was recalled and re-issued the same year, and since then the film has always been issued with the censored print with the CGI'd sculpture, including multiple pressings, boxed sets, and even recent blu-ray releases. Now if you're anything like me, there's only one version of this film to own: that rare, recalled DVD from 1998. And it's a film worth owning for sure; it's a blast. Keanu Reaves, gives one of his better performances as a young, Kentucky lawyer who gets hired by a big time New York law firm. So he and his girlfriend (Charlize Theron) move to the big apple, only to find out that his boss, Al Pacino, seems to literally be the devil. Now, I know a lot of people believe Pacino is one of those actors who's moved on from giving legitimate acting performances to just pushing out an over-the-top caricature in every film he does now, and I tend to agree; but this is the one role where his over-playing it actually suits the character and the mood perfectly, and so his instincts are spot on. Plus, it's got an absolutely perfect supporting cast, including Jeffrey Jones, Craig T. Nelson, Heather Matarazzo and even Don King as himself. You'd never know it from the poster, the credits, or even the film's imdb page, but this is a Larry Cohen film. He wrote the original script; but due to union rules, only the guys who did some later rewrites are given official credit. Cohen fans will still be able to sniff his writing out, though, as its full of his usual wit and "what if" approach to scenarios. To be fair, though; having listened to the audio commentary, it sounds like some of the changes the new guys made were for the better; so I definitely don't mean to suggest they don't deserve credit here. So, this original recalled DVD features the same transfer - except of course for the CGI-altered shots - as the later releases, showing the film in its original 2.35:1 aspect ratio. Fortunately, as old as this DVD is, it isn't so old that it's non-anamorphic. I think we dodged a bullet there. The blu-ray, naturally, looks a good deal better - except, again, for the the fact that it has the CGI-altered image instead of the director's original vision - but this looks just as good as any other standard def DVD version. Plus, interestingly, it has a little more picture information on the sides... because the blu ray is slightly stretched horizontally. However, if we're not dismissing the blu-ray, it has to be said that it's a noticeable improvement, with better detail, where the DVD has wonkier edges, no doubt because the SD is an older transfer. Improved, but censored. Ultimately, which is more important? To see the movie in nice HD, or to see it unaltered? It's a decision you're going to have to make for yourself, because unfortunately, we can't have both. This DVD also has some nice extras... pretty much the same extras which have been present on every release of this film. It has the aforementioned audio commentary, by director Taylor Hackford, which is fun and very informative. Then there's the trailer, a couple TV spots and a LOT - about 30 minutes worth - of deleted scenes, also with commentary by Hackford. And here's one more advantage the blu-ray has that must be noted. On the DVD, the commentary is forced on the deleted scenes. That is to say, you cannot watch the deleted scenes without the director's commentary playing over them. But on the blu-ray, the commentary is optional, so you can also hear the scenes play out on their own. That is absolutely preferable, so score a few more points for the blu-ray release. I'd almost recommend getting both, and maybe for really big fans of this film that's what you should do. But at the end of the say, when you're going to sit down and rewatch this movie, you're going to pick one version or the other anyway. So you're still forced to decide: uncensored or HD? So let's assume you chose uncensored, or you do feel compelled to pick up both. How can you tell the original recalled version apart from the reissue? Well, first of all, obviously, stay away from any sets... the double feature with Insomnia, the Al Pacino Collection? No. But that's obvious. The ones that are hard to tell apart are the 1998 solo DVDs. Fortunately, Amazon has still maintained separate listing pages for them (here's the link to the original). They often don't do that, and remove or merge listings for older DVDs, which can be quite frustrating. Luckily, they remain distinct as of this writing. But still, trusting people listing and selling their DVD copies on Amazon to know which listing is for which, or even that there are two different versions, and listing their DVD correctly is a leap of faith that extends right out into the domain of the foolhardy. And why limit ourselves to buying from Amazon, anyway? We need a real way to tell these DVDs apart, and fortunately, such a way exists. First of all, the recalled version is (unfortunately) packaged in one of those half cardboard "snapper crapper" cases. Warner Bros later reissued this in the preferable keep-case packaging, and that of course is the CGI'd version. However, it's not that easy! While that reissue also came out in 1998, that is the 3rd version. Both the recalled version and the first censored version came before it, and both are in snappers. So you can certainly rule out any version in a standard clamshell keep-case, but you can't embrace any version in a snapper. We need to look closer. There is a catalog number on the spine of the DVD case, which is unique to this version. The recalled version is number 15090. I'm not sure of all the other catalog numbers, because I never went nuts and collected every single subsequent pressing. But if it's any number other than 15090, you don't want it. There are other distinguishing factors, too... for example, different editions have different UPC numbers. The recalled version is: 0 85391 50902 8; however I'm not 100% certain that none of the other editions have that same UPC. I don't think they do, and I know for sure that at least some of them have different UPCs. But I can't swear to it that they all do. I AM certain about the catalog number, so go by that. If you see it used in a shop you can just check the spine. Or if you want to order it from EBay, Amazon or anyplace else, just ask the seller what that catalog number is on the copy he's selling. Fortunately, Devil's Advocate was a major film from one of the biggest studios, so a lot of these were released into the wild before the recall. They're still quite findable with a little knowledge and effort. where do I find the link to download the DVD full??? I believe that part of the settlement was that they were legally entitled to sell a certain amount of the discs with the old version (possibly the initial pressing was already done? ), which would mean technically it wasn't actually "recalled". I have 3 copies of the original dvd (spine #15090). 2 out of the 3 I found at a local used record store that also sold movies.